Dusty has his hooves full protecting the feral kitten who seems to be a natural at getting into trouble and riling up all sorts of creatures. But that’s not all, there’s something about Kitten the creatures secretly know! Who will help Dusty keep Kitten safe? An amazing adventure entwining actual real-life characters with mysterious, legendary creatures emerging from the woodland shadows. Once they do, the chase is on! Watch for the upcoming Audio Book available for purchase from our site! One day, Dusty stood in the corral bobbing his head up and down but refusing to move his feet. Curious, Dusty’s owner, Mark Peterson, walked over to have a look at what was going on. To his surprise, between Dusty’s front hooves was a tiny puff of kitten rubbing along the surface of Dusty’s strong hooves. Not more than a handful of fur, it was discovered that Kitten was actually part of a feral litter living in Dusty’s barn. Once the two met, they remained inseparable. Over time, Kitten has proven himself to be the farm trouble maker and four-paw comic relief capable of vast amounts of mischief and proudful, indignant behaviors. Dusty is a real live horse living on a peaceful ranch in Minnesota with his sister, Daisy, and the rest of his herd. 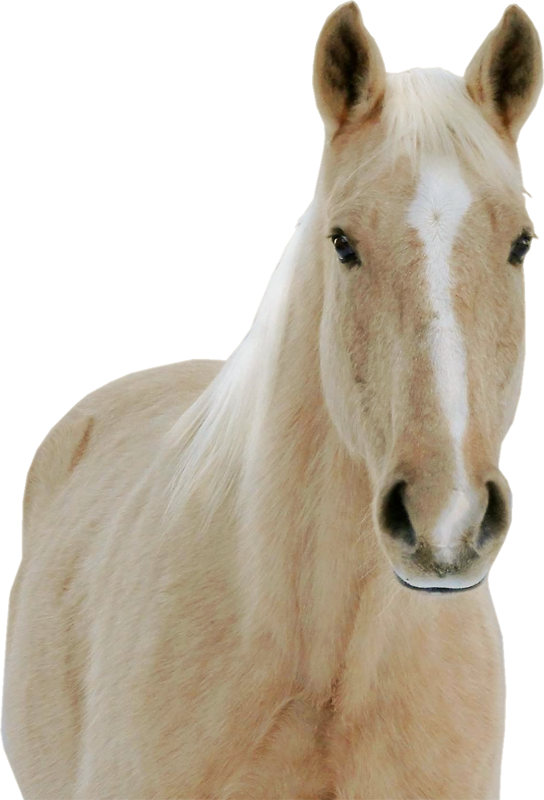 He is a Palomino gelding, a Rocky Mountain Horse, a breed notorious for a smooth gait and a big heart. Over the years, Mark and Dusty, have traveled throughout our nation on many adventures. They have led film crews into deep woods and high country, have participated in research and expeditions for all manner of wildlife, including the ever aloof Bigfoot. When the duo are not out making new friends on the road, they generally spend their time exploring the wild expanses of Northern Minnesota, camping or trail riding. Mark and Dusty will be traveling nationwide to do book signings, opening up the ability for Dusty to expand one of his favorite places to visit; the very special children at Ronald McDonald houses, and other child based charities, across the country. Get the Book and Share the Adventure! The first of a series of adventure books you won’t want to miss a single edition! Get One to Share and One to Keep! Dusty’s Adventures enchants and charms everyone who picks it up and cracks the cover. It’s the sort of book all ages enjoy, and makes a great gift too! Dusty’s Adventures enchants and charms everyone who picks it up and cracks the cover. It’s the sort of book all ages enjoy, and makes a great gift too! Available as a Softcover, E-book or Audio version. Sold at all fine bookstores. It has all the adventure you could hope for, blended with a tale of friendship, trust, unexpected heroes and guardians, as well as the bittersweet stings of betrayal. Love Dusty’s travels and his visits to places, interacting with people, places and things. Love his smile and his kisses to others! I love seeing Dusty’s photos out in the woods, and the best ones are when Dusty’s around kids, especially when he goes to Ronald McDonald houses. A great adventure with fantastic characters! 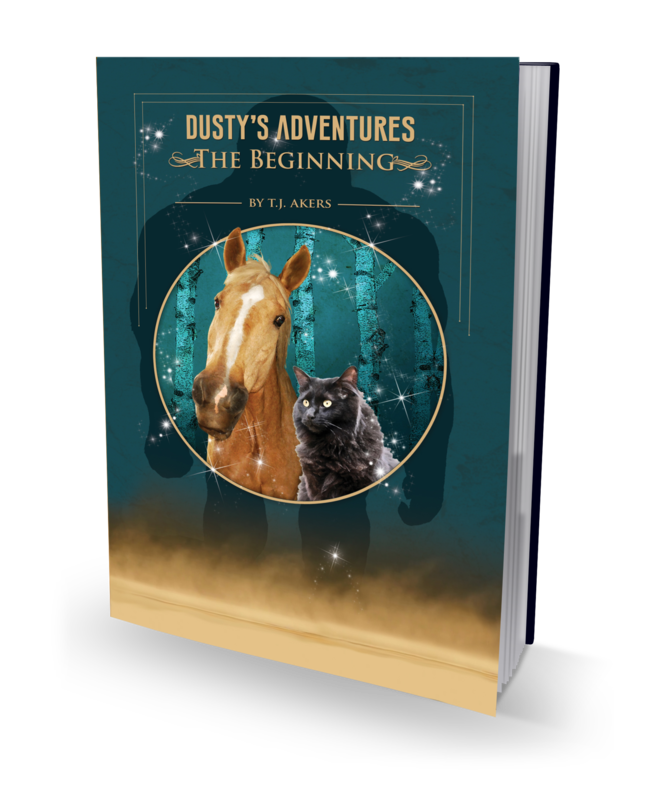 Dusty’s Adventures: The Beginning, is a fun and exciting fantasy adventure set in our world. It revolves around, Duty – the horse – his sister, Dasiy, Kitten – the adorable, but stuck-up cat – , and a handful of other colorful characters. As you travel along with the characters, you get to watch them grow and you fall in love with their unique personalities. Their adventure – which is just the beginning – is a fantastic journey of good vs. evil, tuna, shadow creatures, Bigfoot, and much more. If you’re looking for a fun, fantasy tale and lots of great characters, look no further. Good vs Evil! Mythical creatures both good and evil. Clueless humans–or are they? Light battles darkness. A great story for boys, and plenty of girls will enjoy reading this adventure, too. A definite good guy/bad guy story line. I was hooked from the first page. A definite good guy/bad guy story line. With a little magic thrown in. I can’t wait for the next book in the series. Dusty, I enjoyed meeting you at Breyerfest! Love Dusty, love the wildlife pics and how Dusty interacts with people. Love kitten too! I just love Dusty’s expressions. I love seeing Dusty and Daisy come to the magic window, in addition to all Dusty & friends travels. I love all the travel pics and the pics of Dusty and Daisy being silly. I love Dusty’s Fan Page. Of course, the travel and wildlife pics are awesome. I love seeing Dusty meeting new people (especially the kids). But most of all, the pics of Dusty, Kitten, and the gang. Makes me miss having horses so much. Someday I’ll have them again. Whenever I see your page, I get ”The Happys” , whatever y’all are doing! But I guess ”The Most” would be your videos on trail rides, especially the one where y’all were cantering along that twisty, winding trail in the woods! And I could actually “feel” Dusty’s lead changes as you rounded the curves ! Loved this one ! Watched it over and over! 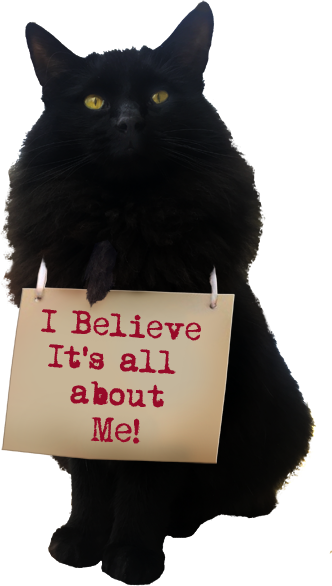 Love hearing about all the cool things Dusty, Daisy, Kitten and Mark are up to! I like the ambassadorship that Dusty provides for equines everywhere. He goes where many can’t, and handles it well. And, he gave me a kiss at Wild River last month! Sign me up to follow Dusty! I enjoy his Fan Page, it is good to see something nice and pleasing for a change. Love Dusty with the kids and his Kitten! Dusty and Kitten, what’s not to love? I enjoy everything that’s posted. The variety keeps it interesting.